Chips and Beer Colombia – Mixton Chips and another amazing snack. 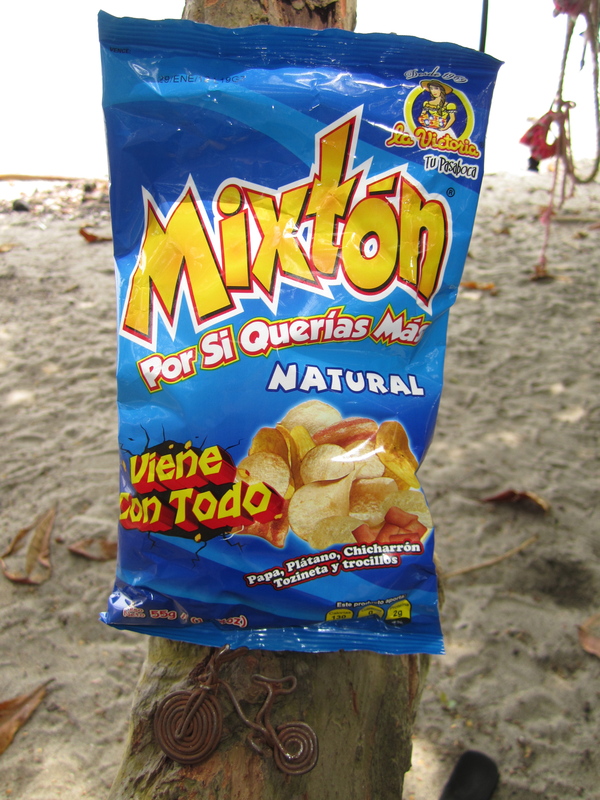 I recently enjoyed a bag a Mixton Natural Chips on Cocos Beach in Tayrona. Not quite sure where the “natural” part came in, but they were… interesting. In the bag was a mixture of potato chips, plantain chips, and different types of pork rinds. I should have guessed that they would have been different when the picture on the front included hot dogs, but I could not figure out a nice way to tell the lady at the store never mind. Solely for the sake of this segment, I suffered through, and polished off this bag. I think if it were not for the beautiful ocean view and hammock I would not have enjoyed these quite as much. This next snack, however, more than wowed me, it was a beautiful mixture of fried and gooey perfection. We later heard it called Papitas. 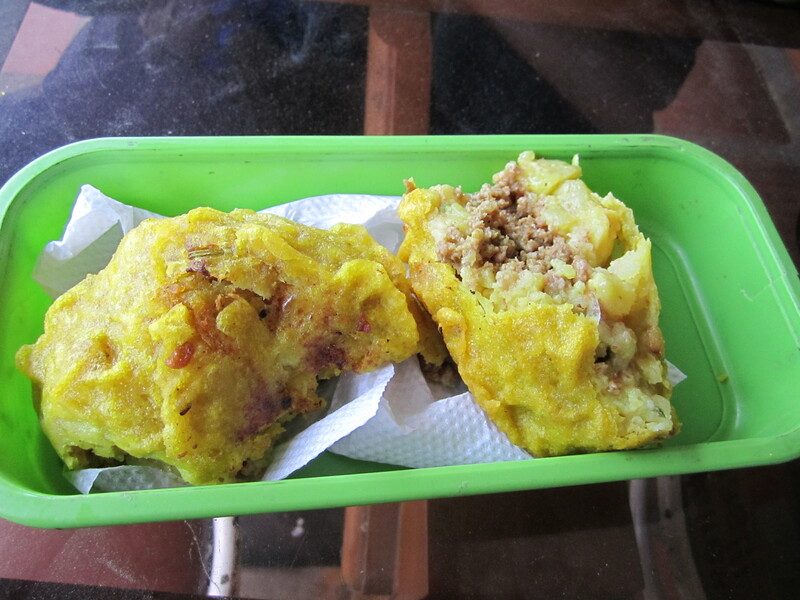 Basically it consists of mashed and roasted potatoes with seasoned beef, rolled into a ball, and then breaded and fried. Thus, the amazing combination of the crisp outside and gooey inside. Such a nice, healthy, low-calorie snack. This was a quick road side snack on our voyage from Tayrona to Mompos, but it has quickly become one of my favorites…..
Congrats Colombia on such an excellent and cheap (about 40 cents each) treat. 3 Responses to Chips and Beer Colombia – Mixton Chips and another amazing snack. A Dios Mio!!! Muy fabuloso! Delish. Except for the first chips. Seriously– what was going on there? I want a Papita — looks delish!! !